After more than a year away, I have finally decided to wake up this sleeping beauty of a blog. Two years ago, life got interesting and also hard, and the mission that had sustained the posts on Tenth to the Fraser through previous times of interestingness and difficulty lost its pull. For the past year I have been debating whether to formally pull the plug on this blog, but I never was able to steel myself to do it. Tenth to the Fraser was born out of frustration with the sorry lack of an online community for New Westminster seven years ago. In 2008, a diligent search of the blogosphere found only a handful of people who admitted to being located here, and most rarely wrote about their community. On Twitter, the same. Almost no one set “New Westminster” as their location (most used “Vancouver”), and there was no substantial public conversation about the community on Twitter, only passing references to things seen or experienced here. In 2015, things couldn’t be more different. Twitter is now an essential backchannel for political conversation, there are a number of thriving interest-specific groups on Facebook and there are many locals who use their blogs to spark conversations about community issues. Most of the major cultural organizations, businesses and nonprofits also have reasonably well-organized and regularly updated websites where people can easily find what they need. So with the original problem that this blog was addressing essentially solved, I have been questioning whether there is a need for a site like this anymore. After all, why invest the time, attention and heart into blogging if your audience doesn’t care? But in recent weeks I have been realizing there is still a void that a site like this can and should fill. No other resource exists solely to showcase the people, places and organizations that make New Westminster a better place to live, and show citizens how they can be more involved. While there are many places to go for conversation, and many sources of information, this site is still needed to be an on-ramp for newcomers to New West as well as those of us who live in the community without feeling a part of it. It is needed to celebrate and shine the spotlight on the people and organizations who are working hard to make this place better for all of us, and perhaps also to identify specific ways we are falling short and proposing solutions on how we can do better. 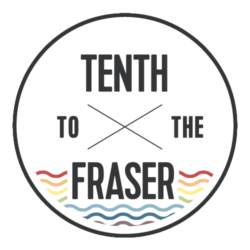 If you are interested in writing, volunteering technical or design skills, offering a financial contribution to offset the costs of running the site, or have other ideas on how you can help, please drop me a line in the comments or via Twitter (@10thtothefraser). If you have ideas on what you would like to see in the next incarnation of Tenth to the Fraser, please leave a comment or send me a tweet/email/Facebook message to let me know. I’d love to hear your thoughts on what you’d like to read about and how you’d like to see Tenth to the Fraser evolve. Seriously, if you're not interested in the site, or her posts, don't come here. I don't see you adding anything to the conversation of value. Would love to talk with you about growing your blog. New West is in the middle of some pretty exciting changes and growth. An online representation of the city’s community and culture is missing. Perhaps Tenth to Fraser could fill that gap. I am a local mom and freelance writer with a love of all things local. Would be great to be on board with a publication that showcases life in New West! I would be happy to hear your ideas! I'll send you an email. I wondered where you were. I hoped you were well. I have missed your articles. Please say your coming back. This city needs this blog. I am coming back! It is really nice to hear that you missed my articles. I had been questioning whether there was still a need for a blog like Tenth to the Fraser. Thaank you. I've been a resident of NW for the last 3+ years, and it's the city on my birth certificate. I've always managed to find some community around wherever I happen to be living in Metro Vancouver (East Van, South Burnaby, North Burnaby) but nothing has been truly HOME like New West, especially the downtown/riverfront area. I'm a sometime writer with some academic background in the social politics of space and place (especially how people with different genders interact with their neighbourhood) as well as transit (having co-created the Harassment on Translink blog in October of 2013). Mobility is a primary concern for me, as is liveability of communities. I'm very interested in contributing in any way I can, but particularly through writing about community engagement. Hey Briana! I hear on how hard it can be sometimes to continue with initiatives that require so much personal effort behind the scenes, in the midst of Life and all its vagaries. But I have to tell you, when I first joined the New West online community about four years ago, your blog had the status of 'fame.' You really did make a mark and establish something special that people felt they could trust and use as a resource. 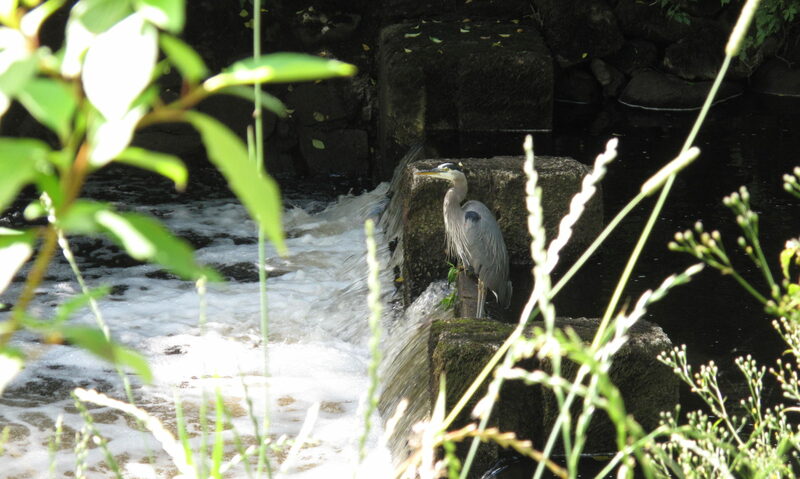 I would be interested in contributing writing on occasion — animal welfare (particularly right now as it relates to oil extraction/transportation issues); health and wellbeing; natural hygiene/natural living; walking the land; knowing the land beneath the onionskin (i.e. the Qayquayt land we live on). I remember well! I would love to have you back. Anything in particular that you would like to write about, or would you like an 'assignment'? I’ll be very happy to contribute, from the Arts and environment perspective Briana! I still have a #NewWest list on Twitter but I miss the blog… and the city. So glad to see this in my RSS feeds! Briana, I’ve written a few blog posts for kids new west. I definitely am engaged myself, and interested in encouraging others to become more engaged in new west, have a few ideas about strengthing community ties within the specific neighbourhoods as identified in the visioning process we did as a community with City Hall in Feb. 2015. I'd love to hear more about your ideas Karon! Welcome back! I live in Burnaby but so close! I spend a lot of time in New West.